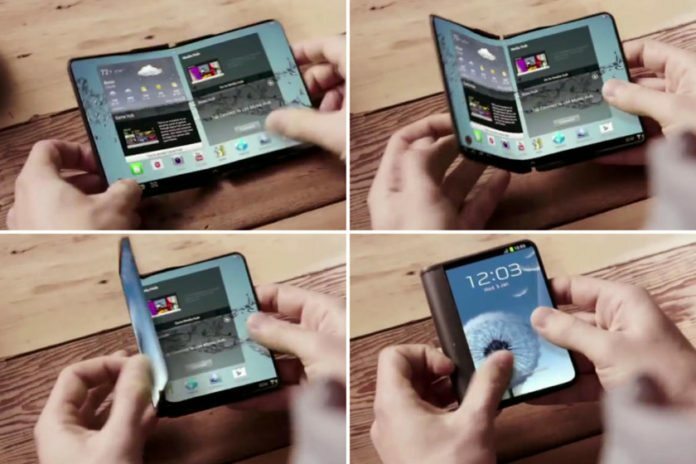 Foldable smartphones are the few phones; we have been hearing about them from past few years. One of the reputed manufacturer Samsung who is so closely associated with the rumors about the foldable smartphones. Samsung’s Galaxy X smartphone is expected to launch with the display which is still in the development phase. As per the recent reports from Samsung, it is to be believed that the company has filed the patents for the development of foldable smartphones. This could be the major development in the future of smartphone designs. 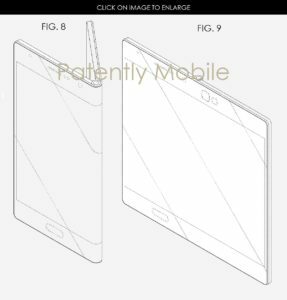 One of the patent shows a fold-out design for the foldable smartphone in the designing with the hinges between the displays. This will help in enabling flexible bending of the device. In fact, this is the prototype which is shown earlier with the similar design and Samsung’s plan is revolving around the same. As per the rumors, Samsung is planning to use a durable glass which is stronger than the Gorilla Glass for the foldable screen of the smartphone. For the Flexible devices, the company uses the Flexible glass. Apart from this, two more patents were filed targeting the future Galaxy smartphone design. Some of the sources are mentioning that these smartphone designs are referred to the flagship Series phones of Galaxy S. One of the Images showing the diagram of the phone shows curved edges at the front similar to the Galaxy S7 Edge. Another diagram of the phone looks flat and on the rear end with the similar speaker design as the Galaxy Note 4. One more patent shows the phone design with an edge similar to the Galaxy Note 4 edge on the both sides. 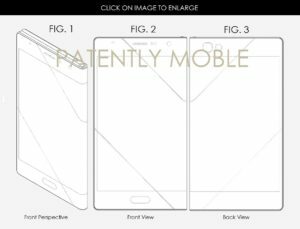 As per the second and third patents, it is said to be that Samsung is planning to come up with the new design model for the mid-range lineup. Maybe we can expect the affordable variants of the Galaxy Note device which could be on the cards. In Fact, we have to remember that, not all Samsung patents will come to reality.